Mars (the Roman god of War, also known as Ares in Greek) is sometimes called the Red Planet because of its rusty red color. It is the fourth planet out from the sun, and the seventh largest. Mars has two tiny moons which orbit very close to the martian surface: Phobos and Deimos (Fear and Dread, fitting companions for the God of war). Mars’ orbit is more elliptical than Earth’s (it looks more oval than Earth’s orbit). One consequence of this is a large temperature variation (about 30 degrees Celcius) between the point in its orbit when it is closest to the sun and the point in its orbit when it is farthest away. The average temperature on Mars is about -51 F, but Martian surface temperatures range widely from as little as -124 F to about 23 F on the day side during summer. These temperatures don’t seem too bad compared to other planets in the solar system. That, and the fact that there was once liquid water on Mars, makes it the most earth-like planet (in terms of climate, not size!) 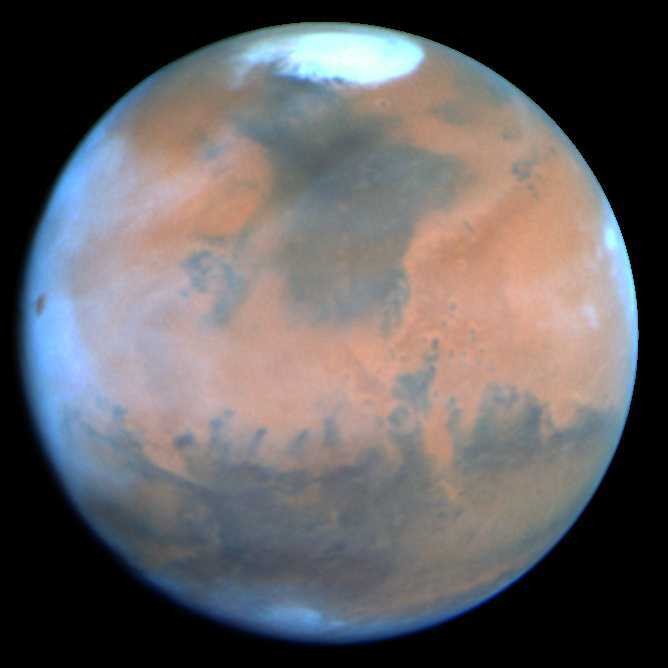 Mars is much smaller than Earth; its surface area is about the same as the land surface area of Earth. Because it is not that far from earth (it’s the next planet out from the sun) it is easy to spot in the sky, and has been known since prehistoric times. 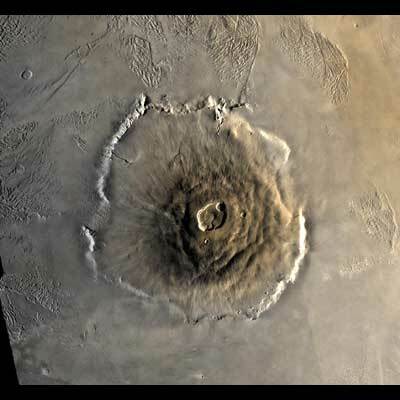 The southern hemisphere of Mars is predominantly ancient cratered highlands somewhat similar to the Moon. In contrast, most of the northern hemisphere consists of plains which are much younger, and lower in elevation. No one knows for sure why there is such a striking difference. Mars Global Surveyor has produced a nice 3D map of Mars that clearly shows these features. The interior of Mars is known only by educated guesses that scientists take based on 4 facts that can be observed from space: planet radius, planet mass, moment of inertia (a measure of how evenly distributed mass is in the planet) and core nutation (whether or not the core and the rest of the planet rotate around the same axis). 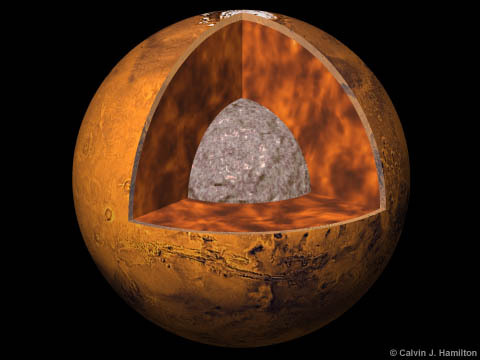 These 4 facts give clues about the core size and mass, and the mantle size and mass. The most likely scenario is a dense core about 1700 km in radius, a molten rocky mantle somewhat denser than the Earth’s and a thin crust. 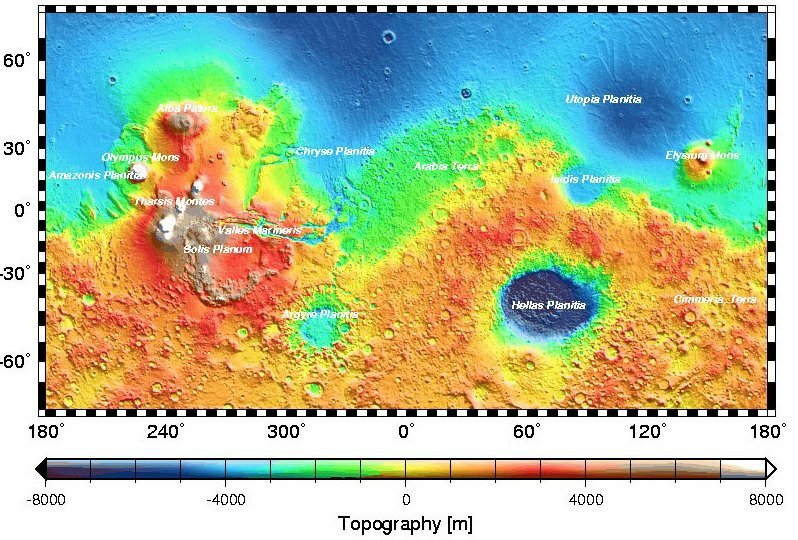 Like Mercury and the Moon, Mars doesn’t seem to have plate tectonics. That means its crust is a solid shell, rather than plates that move around like on earth. 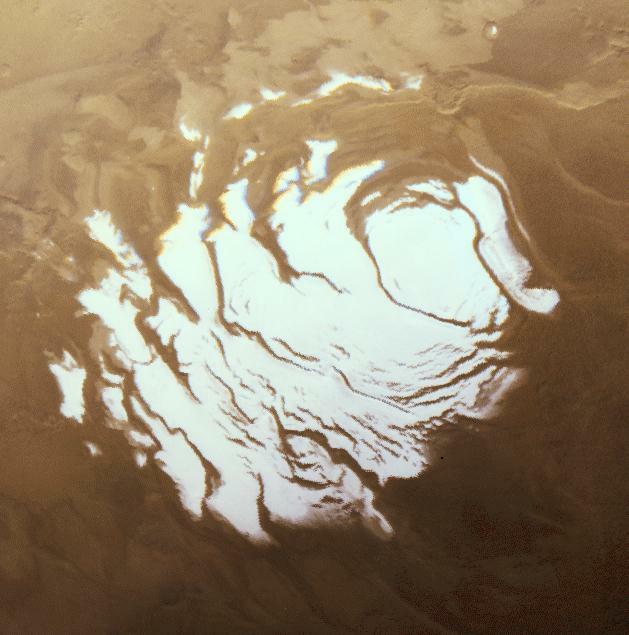 There is evidence that there may have once been liquid water on Mars, however at this time all the water seems to be stuck in the permanent polar icecaps that exist at both poles, much like the polar icecaps on Earth. 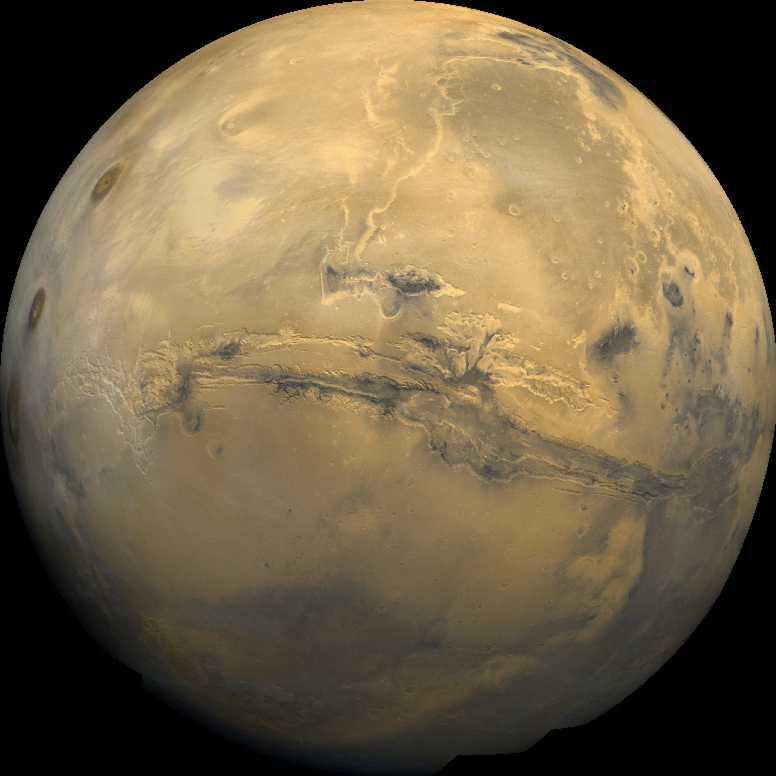 Scientists wonder if there might be life on Mars too! So when they sent spacecraft (Viking landers) they made sure to perform experiments to test if there might be life on Mars. The results were not very clear but most scientists now believe that they show no evidence for life on Mars (there is still some controversy, however). The Mars Science Laboratory mission will be carrying a bunch of instruments to search for evidence of life and help solve the mystery once and for all. But there are definitely not martians bigger than single-celled organisms: I wouldn’t be worried about Mars attacking anytime soon! This entry was posted on June 17, 2010 at 8:35 pm and is filed under Uncategorized. You can subscribe via RSS 2.0 feed to this post's comments. Both comments and pings are currently closed.